James Bond first strapped on an Omega watch in 1997. Since then the once-ailing franchise has gone from strength to strength. Coincidence? Every human being on the planet, even those in Bhutan, or out in the rainforest distilling poison from tree frogs, knows who James Bond is. So ubiquitous is he that even people who haven’t yet been born have a favourite James Bond actor, a favourite Bond girl, a favourite Bond movie, Bond song, car or baddie. In fact even as I write these words images of Louis Armstrong, Daniel Craig, an Aston Martin Vanquish, Jaws and Denise Richards (wrong, I know) are flashing across my cerebral cortex. But, now that Adele has belted out the theme song to Skyfall, the 23rd “official” Bond movie, here’s a question that’s rarely asked. What’s your favourite Bond watch? It’s not as dumb a question as it might at first seem, either. As Daniel Craig pulled on a Tom Ford shirt and suit – again – to play 007 for the third time, he also slipped on the John Lobb shoes and an Omega Seamaster, as might befit a Royal Naval Commander and a spy who’s licensed to kill. Perhaps it’s the self-winding co-axial escapement, the silicone balance spring, the power reserve of 50 hours. Perhaps it’s simply because it’s easy to take off – let’s not forget Bond’s reputation with the ladies. This puts Bond in interesting company – Mao Zedong, who was called Mao Tse Tung when Sean Connery first played Bond 50 years ago – wore an Omega. Prince William wears an Omega. Buzz Aldrin wore one when he went to the moon. 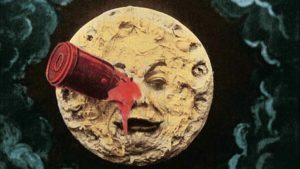 So, for that matter did Neil Armstrong, but he left his back in the lunar module when he made his first “one small step” moonwalk (some malfunction in the onboard computer meant a proper timepiece was suddenly required) so it was Aldrin’s that became the first watch actually on the moon. It’s a cool looking watch, the Seamaster, rugged, masculine, dark of dial and stout of hand. Good for up to 600 metres below the waves. Which makes it ideal if you’re trying to escape from a flooding submarine with, say, only Denise Richards to help you. But it hasn’t always been Omega. 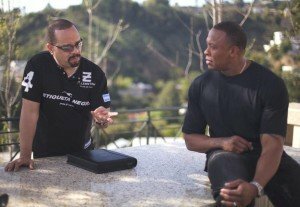 “He could not just wear a watch. It had to be a Rolex,” is how Ian Fleming put it in the book Casino Royale. But that was quite a long time ago now and the Rolex wasn’t quite the name it is today. It was a bit more niche. “Sean Connery wore a Rolex, but we thought they’d become a bit ordinary,” is how Lindy Hemming, costume designer on the first three Brosnan Bonds put it, explaining the switch to Omega. Ordinary? Now this is not the place and I’m not the man to referee a handbags-at-dawn Omega/Rolex stand-off. So let’s look instead at that first Bond movie, Dr No, when Rolex were approached to supply a timepiece – nice bit of product placement – and declined to offer one to a going-nowhere British film based on the sort of paperbacks you’d buy from a railway station. So the Submariner you see on Sean Connery’s wrist is the one that belonged to the film’s producer, Cubby Broccoli. Connery’s borrowing didn’t end there though. A working class lad by birth who’d spent time in the Navy, worked as a milkman, done a fair bit of bodybuilding, Connery certainly filled out that Lanvin shirt and that single-button Anthony Price dinner suit (Brits were resistant to the term “tuxedo”) he is first seen in. The one he’s wearing when utters his signature “Bond. James Bond” line for the first time ever. As for the rest of his performance, it’s a beautifully wrought almost-impersonation of the film’s ladykiller director, Terence Young – a son of the Empire, public school, Cambridge, Irish Guards – the drawl, the semi-smirk, the whole effortless entitlement-shtick of the born to rule. “Terence Young was James Bond” is how Bond expert Robert Cotton once put it. But it’s also true that Connery internalised an awful lot of Bond’s (ie Young’s) mannerisms. Then the wind changed and they stuck. Through Connery’s long career if you looked at him to catch a reminder of the boy from the wrong side of the tracks, he was hard to see. If you looked for traces of James Bond, there he was – in The Untouchables, The Rock or playing Indiana Jones’s dad – greyer, balder but still 007. Successive Bonds have done something similar, absorbing enough of Connery’s original reinterpretation of Terence Young and adding their own twist. So did Bond’s dressers. George Lazenby’s dinner suit in On Her Majesty’s Secret Service is by Dimi Major and, like Connery’s in Dr No it’s in midnight blue – black being a bit, you know, common. Single breasted with a single button fastening and with peak lapels, it’s such a classic suit that Pierce Brosnan is wearing something incredibly similar 30 years later. As is Daniel Craig in Skyfall, another ten years further down the road. Connery might have given us the archetypal Bond but that shawl collar on his tux in Dr No is not archetypal Bond style. Nor is his homburg hat or chesterfield coat. George Lazenby may only have played Bond once but he did leave a legacy, and that dinner suit is it. 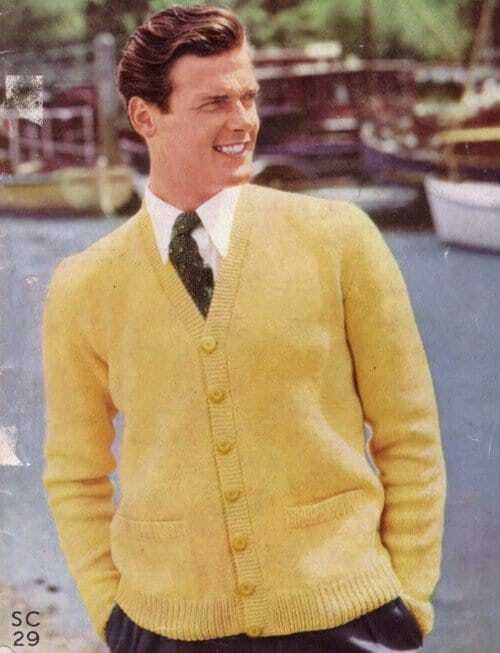 Roger Moore’s time as a model for knitwear seems to have primed him for a career in bad outfits. But with his big barrel chest and narrow waist, Moore just didn’t look good in the same sort of clothes as Connery or Lazenby. Which helps explain the wide lapels, flared trousers, the blouson jackets and all those many variations on the safari suit which he wore while he was James Bond. Though nothing, I’m afraid, excuses the powder blue leisure suit from Live and Let Die. However when things got really serious (a rare thing in a Bond film at the time) even Moore would default back to classic Bond attire – a one button dinner suit. Moore’s version in For Your Eyes Only had a notched lapel (sloppy), a trouser with a silk stripe down the side (naff) and was worn with a cummerbund (a bit paunchy, old Rog). There’s no escaping the fact that Timothy Dalton’s Bond wore horrible clothes. Flappy overpadded jackets made with acres of material. It was the 1980s and clothes were about as untimeless as you can get. Which is a surprise because in many respects Dalton’s Bond is a clearing-the-decks figure, an attempt by a now old Cubby Broccoli to get Bond back on track. But how? Broccoli decided on realism. Enter gritty Tim Dalton in his chinos, and in suits that looked like they were off the peg. The argument probably went that a real British spy would be shopping at Man at C&A rather than Turnbull & Asser. But without glamour, what is James Bond? Answer: not very much at all. Dalton’s two Bond movies are joined by Roger Moore’s A View to a Kill as the three lowest grossing Bonds ever. So we come to Pierce Brosnan, the “caring sharing” Bond. But though we see him suffer and struggle with his conscience – gentlemen, Mr Bond also grows a beard – Pierce Brosnan does manage to dress properly, in well structured suits, often from the Italian tailor Brioni, with the lean, strong, faintly military look you might expect from a Naval commander. Brosnan’s Bond also wears the classic dinner suit with peak lapels and one button. Daniel Craig sticks with Brioni in his first outing as Bond, before shifting to Tom Ford for Quantum of Solace, during the making of which he destroyed 40 bespoke Ford suits – “It really is a crime. It makes me weep every time. They’re great suits,” said Craig. Sartorially, thematically and financially, Dalton’s Bond signals the shifting of the Bond engine into neutral, before Brosnan’s 007 puts it back into gear, after which Craig’s accelerates off with the spoils. Which makes Craig’s choice of dinner suit in Quantum of Solace all the more interesting – one-button midnight blue with a shawl collar, almost an exact copy of Connery’s. So, for those of you wondering if the intro to this piece just a tease, how does Omega fit into all this? Seamlessly, is the simple answer. 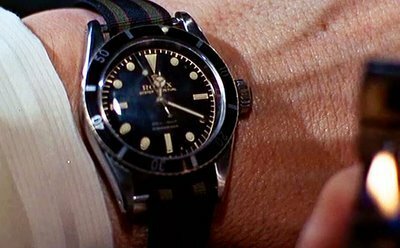 In Bond’s first outing as Sean Connery, he wore a Rolex Submariner. It didn’t do much apart from look good. In From Russia with Love it was again the Submariner. No gadgets, just a watch. There was a gadgety watch in this film, but it wasn’t worn by Bond but by the other guy, Red Grant (Robert Shaw). It dispensed piano wire. Handy if you fancy garrotting someone. 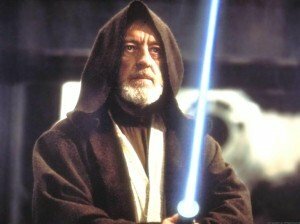 Which Mr Grant did like to do, being a murderous Soviet assassin and all. Connery wore the Submariner in all his Bond films, though we did get glimpses of other watches – a Breitling with a Geiger counter in Thunderball, for instance. George Lazenby wore a Submariner too, and we even got a glimpse of Red Grant’s watch again in a drawer 007 had filled with memorabilia (the sentimental old fool). Something interesting happens when Roger Moore takes over. Bond gradually goes from being a Submariner kind of guy to being a Seiko Quartz kind of guy. And with it the purity of hand-to-hand combat, hard logic and ruthlessness gave way to a raised eyebrow, an arch comment and as many gadgets as can be squeezed into a watchcase. Suddenly it’s all teleprinter tape (how quaint), explosives, digital message displays, direction finders. The sort of thing an iPhone now does without too much fuss, apart from the explosives (now that would be a killer app). Look for watches in the Dalton era and it’s the same as the clothes. There’s a glimpse of a Submariner 16800 but no one really seems to be bothering with the “small stuff”. Forgetting that the “small stuff” is what Bond is actually all about. Dalton’s Bonds are a rudderless ship. It’s only with Brosnan, Goldeneye and the beginning of the modern Bond era that rigour returns, in the shape of the Omega Seamaster – a quartz 2541.80 model that comes with laser cutter and remote detonator, though you won’t find those extras in the catalogue. As befits a ship that’s back on course, the gadgets are simple, stylish and effective. That fabulous vault out of the window that Brosnan’s Bond does in The World Is Not Enough, his death on the pavement below prevented by the 50 metres of microfilament contained in his Seamaster – now that’s what we’re talking about. 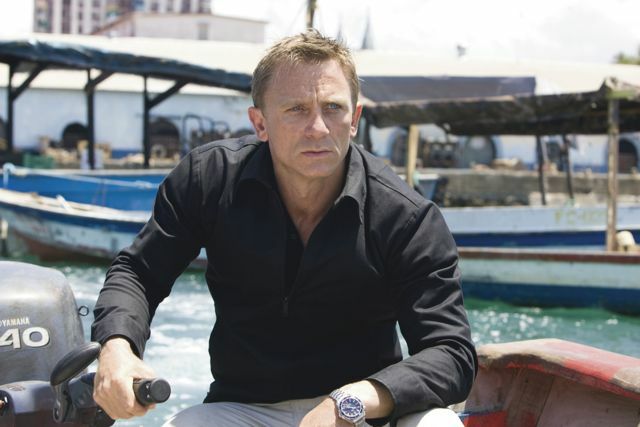 Which brings us up to date with Daniel Craig’s 007, who also wears a Seamaster. And his does… nothing. Just as in Mr Connery’s era the watch just looks good, it tells the time. It might have a chronometer but that’s about it. The stripped-back ethic of the film, the style of clothes and the functionality of his timepieces all tell the same story. What Craig is doing is bringing Connery’s Bond back to life and laying claim to the 007 heritage in a way that no one has dared do before. Incidentally, and bringing us properly full circle, when Mr Craig is off duty, he actually wears a Rolex, the Submariner 6538 with regimental stripe band to be precise. Which means he really is taking this Connery thing more seriously than he’s possibly letting on. Somewhere out on a golf course in the Bahamas, a retired Scottish body-builder is smiling. For research I am indebted to Matt Spaiser’s website thesuitsofjamesbond.com – hugely informative, written with style and wit and with more information about cocktail cuffs, trilbys, grenadine ties and other 007 apparel than most mortals will ever need.